Some 30 women have been detained in Iran for protesting compulsory hijab by holding a headscarf aloft a stick. The chief prosecutor, Mohammad Jafar Montazeri, who reported the arrests on Friday to state-run media called the movement a "childish" one, incited and funded in foreign countries. Despite the persecutions as well as the condescending and conspiracy rhetoric, Iranian women and men at home and diaspora have mimicked the gesture. The latest smartphone photo shared on social media shows a woman, in full hijab herself, protesting compulsory female dress code on a street in the holy city of Mashhad. This is not an isolated incident since other women who believe in veiling have argued that forcing the hijab upon non-believers undermines the value of hijab. In a press release on Friday, the United States also condemned the reported arrests of 29 women "for exercising their human rights and fundamental freedoms by standing up against the compulsory hijab," State Department spokesperson Heather Nauert said. Hijab became mandatory in Iran shortly after Ayatollah Ruhollah Khomeini seized power in the 1979 revolution. Although women were at the forefront of the protests that overthrew the monarchy in a failed attempt to bring democracy and freedom to Iran, one of the first laws of the new government was to disqualify female judges and force hijab upon women. It is for the same reason that the winner of Nobel Peace Prize, Shirin Ebadi, the former judge and the prominent human rights advocate, told Al Arabiya English in a phone interview that the 1979 revolution was a "revolution of men against women." Women at the time launched large-scale protests to fight the discriminatory laws but to no avail. That was not the first time an Iranian ruler established his power by controlling female body. In 1963, pro-western King Reza Shah Pahlavi issued a decree known as Kashf-e hijab which forcefully removed women's headscarves. Overall, Iranians say they have had enough of all forms of repression. The current wave of protests to hijab coincided with the late December nation-wide rallies to the sluggish economy: Youth unemployment is at 40% and the inflation is 12%. Women joined the latest remonstrations as well as the 2009 ones. "Women have the same demands as men," Ms. Ebadi explained. "Their demands are not separate. But on top of asking for a better economy and more personal and political freedom, they are objecting gender-based discriminations." However, this time, women are alert to not allow their demands to be overshadowed or postponed. The women's hijab-protests have been ongoing despite the crackdown on the protests that put roughly 3,700 behind bars and killed and injured over 20. The demonstrations died down in mid-January 2018 but the hijab-protest has taken a momentum, sparking a conversation about personal freedom that was unheard of in the parliament. Women in the Islamic Republic of Iran are officially subhuman. Their testimony in a court of law is not equal to that of a man’s. In a family, women can inherit only half of what male members are entitled to. Except for very strict cases, women are denied the right to the custody of their children, to divorce their husbands, or to work, study or travel abroad without their husband's permission. In 2006, a one-million signature campaign objecting to discriminatory family laws was suppressed. In 2015, a campaign called "My Stealthy Freedom" was launched by the Iranian journalist Masih Alinjed who is based in the US. Women started sharing photos of themselves while defying the compulsory hijab. "Women realized they are not alone. That they can use hashtags to connect," Masih Alinejad told Al Arabiya English in a phone interview. "I don't see myself as the leader of the movement," Alinejad said who launched the #WhiteWednesdays movements or Wednesdays Against Compulsion in May 2017. She encouraged women to wear white headscarves or no headscarves on Wednesdays to show their protest to controlling female body. Alinejad explained that Iranian government can send activists to exile or persecute them in other ways but "when indifferent citizens who mindlessly comply with traditions become conscious and responsible citizens who says no," the government will have to step back because they can arrest only so many people. "So, even though as a single mother in Iran, I suffered discriminatory family laws, I decided to focus on one aspect of oppression. Forced veiling is the first tool of suppression on women imposed on them since age 7. It makes them carry around a fake identity. Non-Muslims and tourists are also forced to follow the dress code. I was one one of the women who objected to the ban. Women should have the right to choose what they wear," Alinjead explained. Thus, although headscarves are not Iranian woman's biggest issues, protesting it is the first step in saying no to misogyny and assuming control of female bodies. Even though dissatisfaction with the current government prevails, as observed in the 2009 and 2017 nation-wide protests, no opposition group has been able to gain the trust of various Iranian components. Suffering from a history of disillusionments and distrust reinforced under the dictatorship, Iranians are divided across the lines of religion, ethnicity, class and sexual orientations. The anti-compulsory hijab protest has been unique since it has united women of different components. 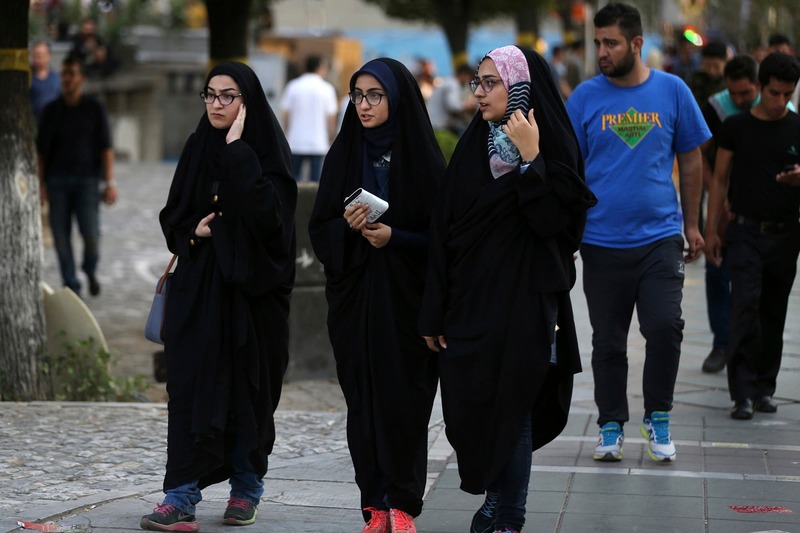 Though faced with some criticism at the beginning, the campaign has been gaining increasing support in Iran as more women have defied the dress code. 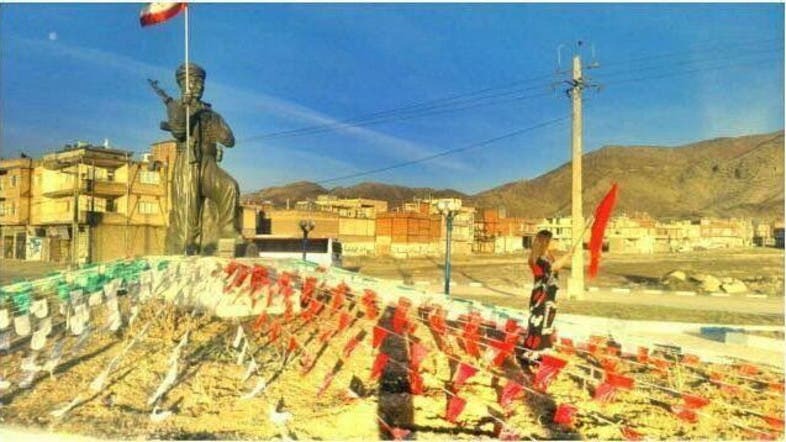 On Saturday, the photo of a Kurdish woman in folk dress in the city of Mariwan, northwest Iran, showed the compulsory hijab protest has been able to gain the trust of one of the most suppressed minorities in Iran who make up the majority among political prisoners. Prominent Iranian lawyer Nasrin Sotoudeh wrote on her Facebook page on Saturday that women arrested for holding a headscarf atop a stick have been charged with three crimes: Spreading immorality, presentation a “haram” act and defying the Islamic dress code. The Iranian government proves to be terrified of a highly politicized headscarf which symbolizes women powers and civil disobedience. Four decades of authority, regional proxies, a massive army, billions of dollars in oil money, and state-run tribunes and media have not been able to silence women.